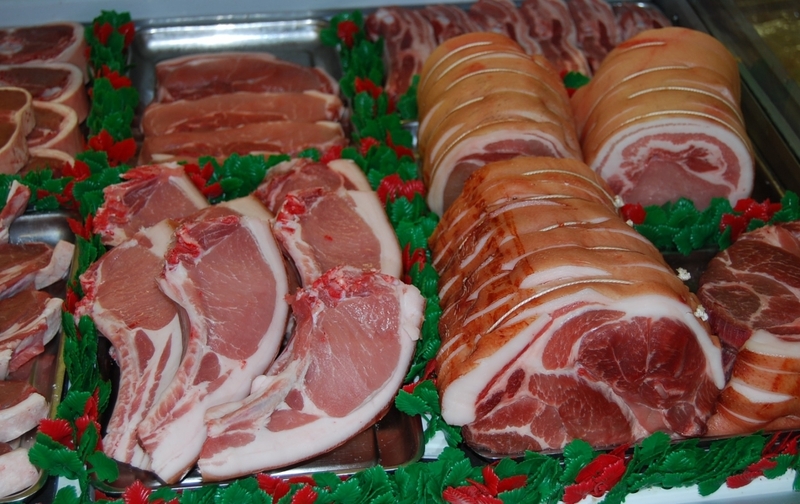 The traditional breed of the Hampshire/Duroc cross that we supply to our customers, was specifically chosen because it is known to have superior flavour. This flavour comes from being a naturally slow growing breed. All of the pork is selected to a specific scope ensuring prime fat coverage. The pigs are reared out doors on the Sussex downs and are fed a specially designed cereal diet, they are taken to a local slaughter house to minimise transport stress for the animal before being brought to our skilled butchers.